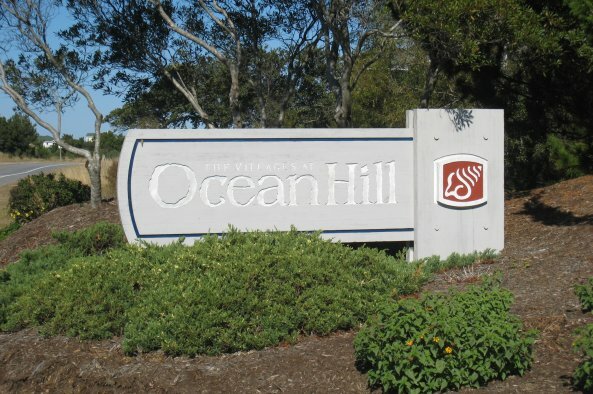 Located at the north end of Corolla, the Villages at Ocean Hill is the last community on the paved road, before the four-wheel-drive area. 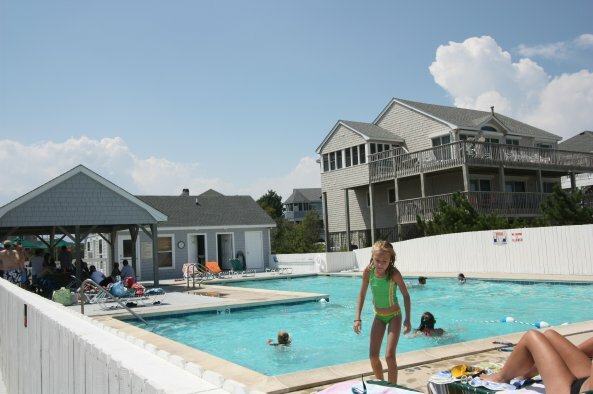 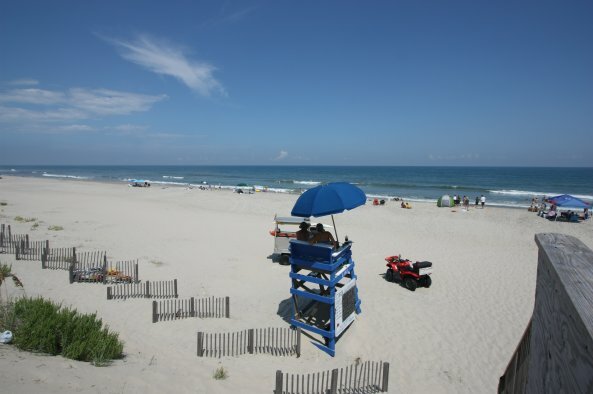 With its long stretch of wide sandy beaches and its beautifully appointed rental homes nestled soundside among the trees - most four to seven bedrooms with private pools and hot tubs - The Villages at Ocean Hill is the perfect spot for your family's Outer Banks vacation. 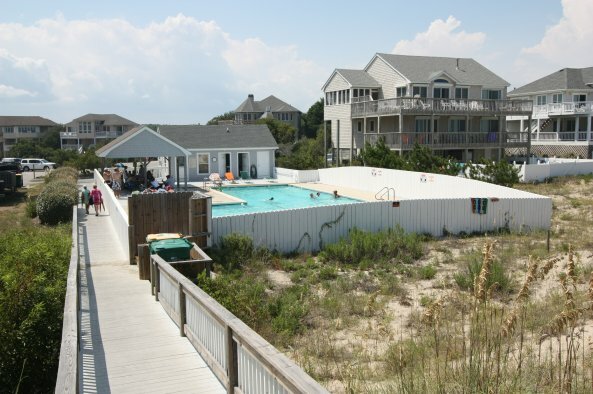 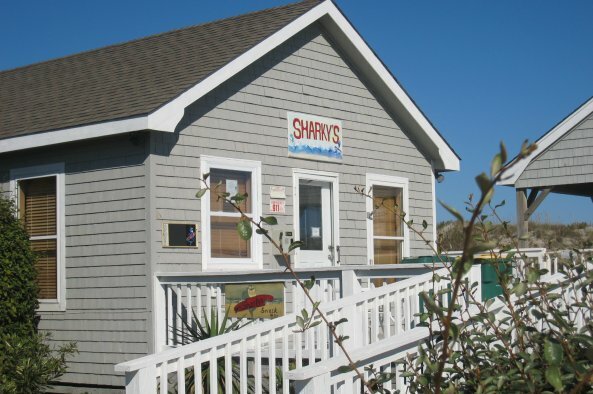 Relax in the oceanfront pool (heated in spring and fall) or wander over to the lakefront pool with changing areas. 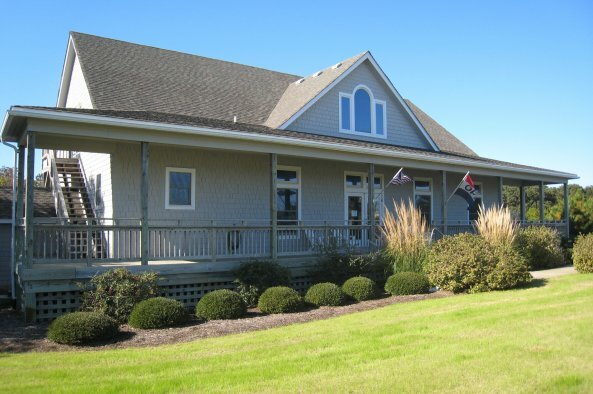 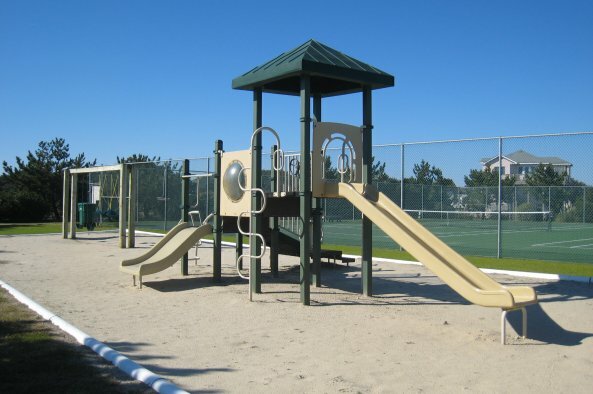 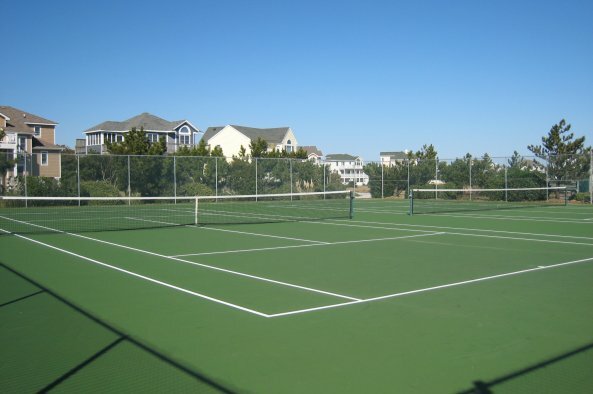 Enjoy a fun round of tennis on one of four private tennis courts in the community, or do a little fishing with the kids in the stocked lake (catch and release). 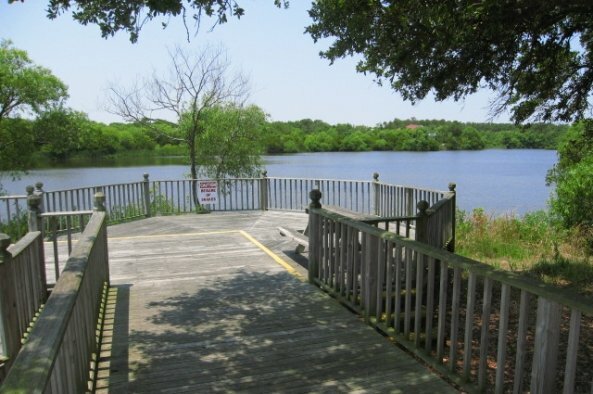 The nearby Estuarine Sanctuary nature boardwalk provides a perfect picture of Corolla's tranquility. 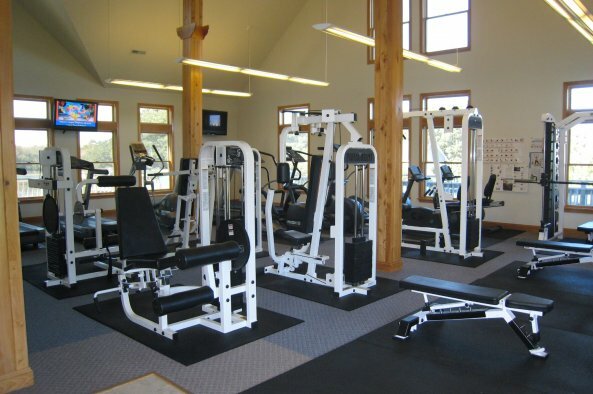 Guests of The Villages at Ocean Hill may purchase either a daily or weekly membership to the private lakefront fitness center, equipped with cardiovascular equipment and freestanding weights. 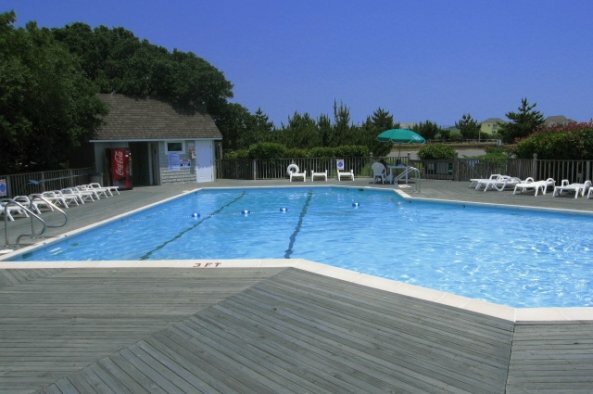 Community pools are open from mid May through mid September, weather permitting.